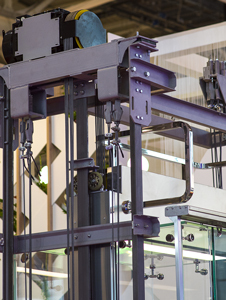 Elevator constructor mechanics are responsible for assembly, installation, maintenance, and replacement of elevators, escalators, chairlifts, moving walkways, and similar equipment in buildings. 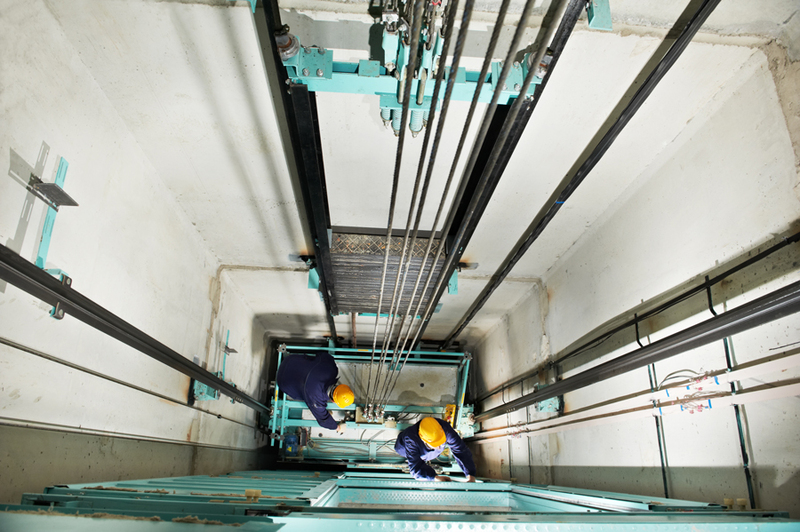 Elevator mechanics usually specialize in installation, maintenance, or repair work. Start at 50% of current journeyperson’s rate. Gain 5-10% pay increase after every 1,000-2,000 hours of on-the-job training (approx. 6-12 months) plus required schooling. Full 100% journeyperson’s pay after completing the program. All calculations based on a 160 hours/month work schedule. *Contact union local for updated wage information. Eligible veterans in an approved Apprenticeship Program can use their GI Bill® benefit and receive a tax-free stipend on a monthly basis. The Post 9/11 GI Bill® stipend is the equivalent of the Monthly Housing Allowance (MHA) of an E-5 with dependents (based on the zip code of the training facility) which is paid addition to normal wages. 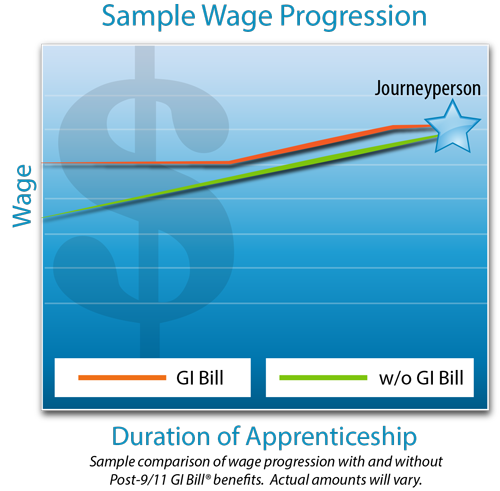 Refer to the chart below to understand how Post 9/11 GI Bill® benefits are paid, or consult the VA website www.benefits.va.gov/gibill (Link) to see how other VA chapters are paid for Apprenticeship Training.